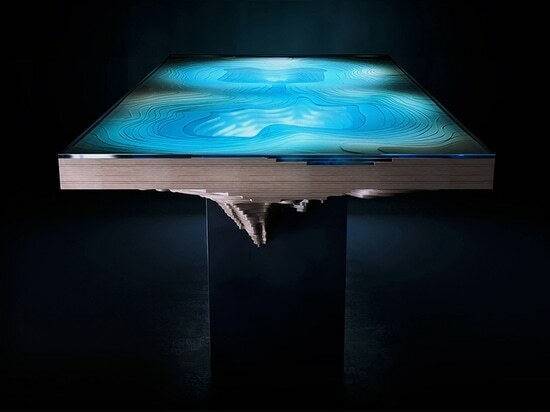 crafted from glass and high grade wood from forest stewardship council managed forests, the dynamic object is a conversation piece as much as a functional one. 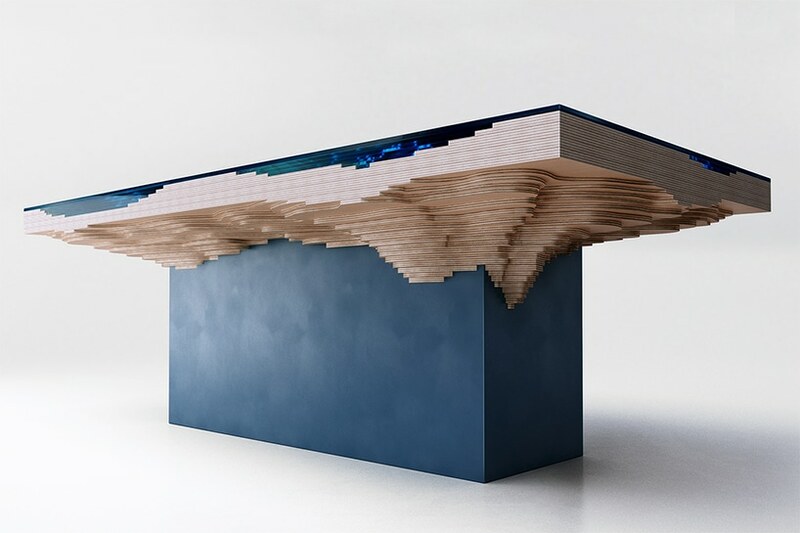 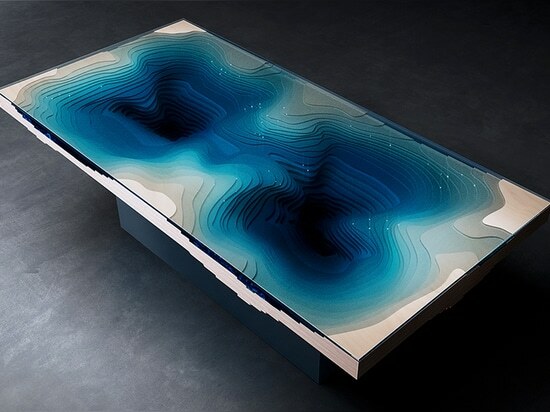 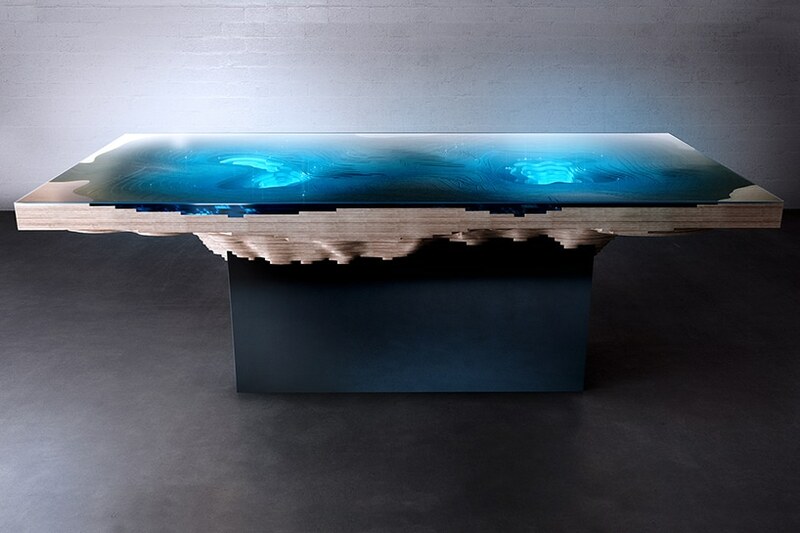 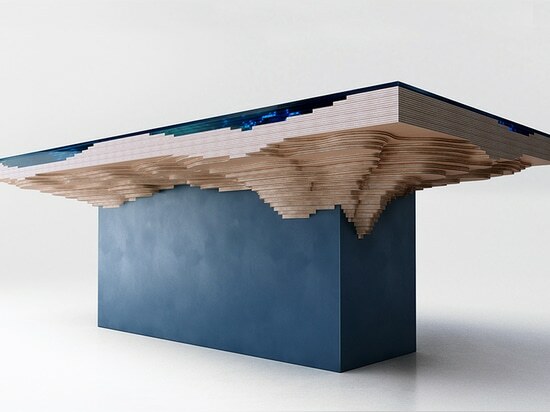 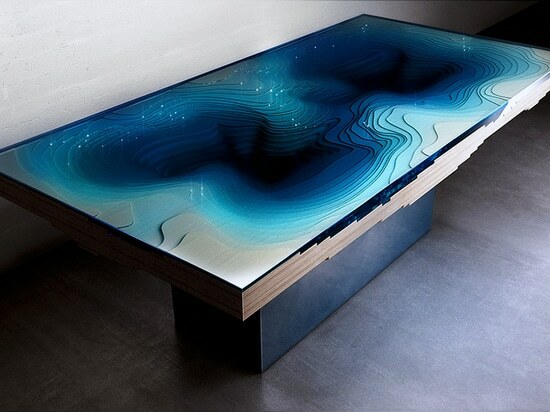 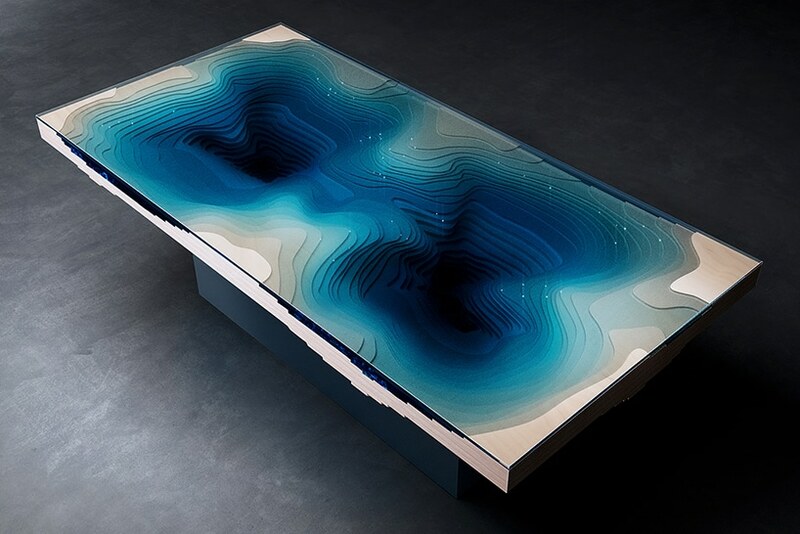 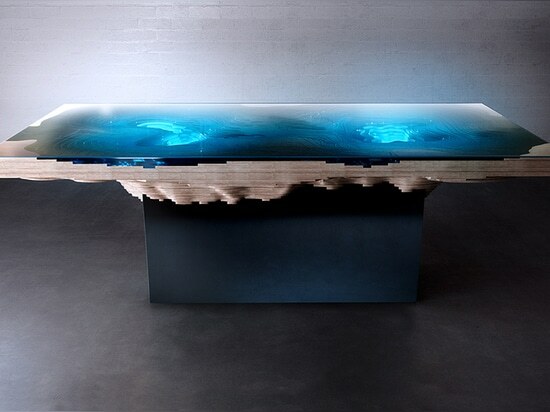 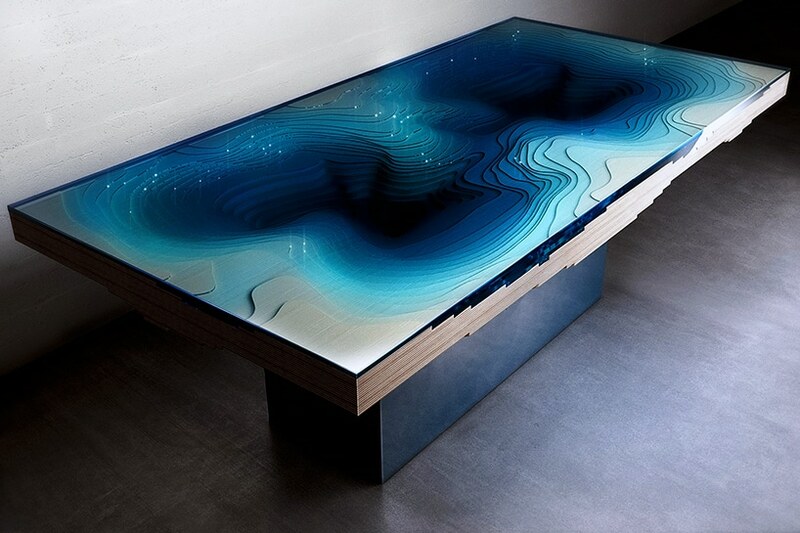 the arrangement of multiple layers of stacked glass and slices of compiled wood replicates the dramatic depths of an indigo ocean, creating a geological cross-section as mesmerizing as the sea itself. 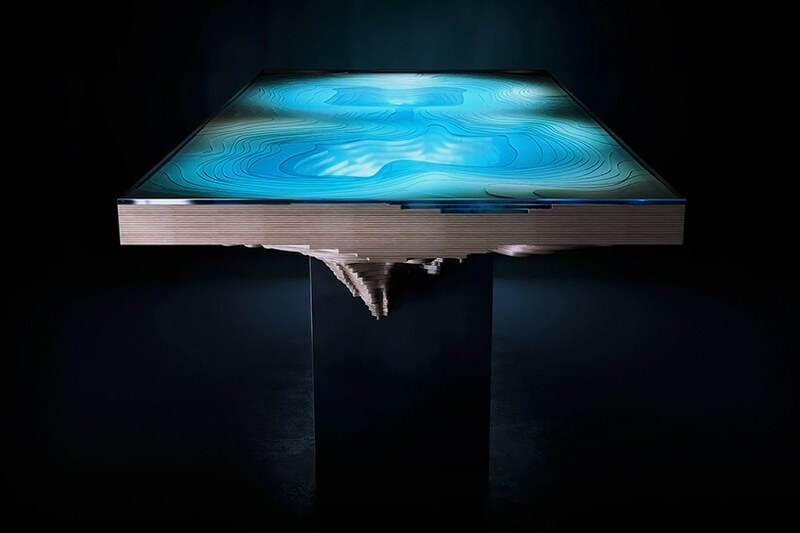 by experimenting with sculpted glass and wood for more than a year, the design team realized a configuration that mimics a geological map in three-dimensions. 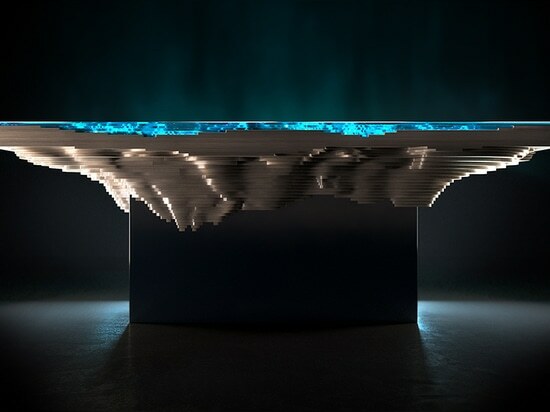 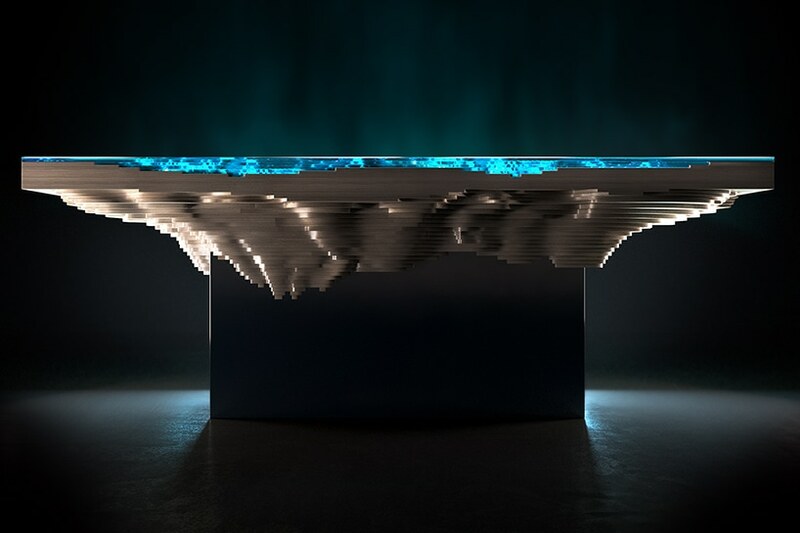 as more layers are added, the materials darken, forming an effect that reflects the sensation of wandering into the seemingly endless depths of an abyss.